A leaked draft of a UN report has claimed that two Singapore companies have violated sanctions by supplying luxury goods to North Korea, the media reported on Tuesday. The final report has been submitted to the UN Security Council, and is likely to be published later this week, reports the BBC. The leaked report alleges that the two firms -- OCN and T Specialist -- supplied a range of luxury goods to North Korea, including wines and spirits, until as recently as July 2017. Under UN Sanctions, it has been illegal to sell luxury items to North Korea since 2006 and Singapore's laws have banned the sale of these items to North Korea for several years. The firms are sister companies and share the same director. They have denied any wrongdoing. The UN report has also claimed that between 2011 and 2014 "transactions valued at more than $2 million - alleged proceeds from the sale of goods in North Korea - flowed from an account that OCN and T Specialist set up in a North Korean bank, Daedong Credit Bank, to T Specialist's bank accounts in Singapore, the BBC reported. 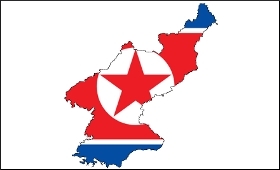 The companies' lawyer, Edmond Pereira, has confirmed they are under investigation by Singapore authorities, but insisted they did not have any current financial links, interests, or any sort of relationship with entities in North Korea. Pereira acknowledged that his clients "have done business with North Korean entities... before the UN sanctions came into force". In November 2017, Singapore banned trade with North Korea entirely. Before that, some trade was allowed. Global sanctions against North Korea have tightened considerably over the last two years as Pyongyang has continued to conduct nuclear tests and launch missiles.